Finest botrytized berries are indivudually selected one by one. The result: Ripe and honied flavours, dried dates and figs. Despite of its rich concentration on palate the wine is showing refreshing fruit flavours and elegant and racy blue slate stone minerals. Extremyl long bakc bone aftertaste. Intense apricot and orange marmalade nose but a fine note of almonds and blossoms mediates the rich sweetness. Thick and viscous but not cloying on palate. Though sweet it is still fresh and makes you longing for a second sip. Delicious intensity and still so refined. A concentrated exotic fruit drop and lemon candy character. 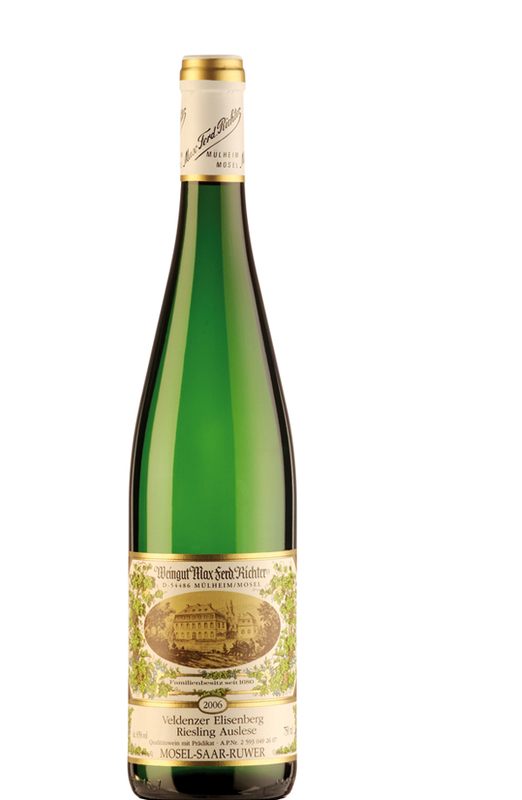 A rarely to find straight forward grapy and juicy Eiswein (Ice wine), backed by slaty and minerally components with extremely clean fruit acid, that counterweights and balances the overwhelming infatuating sweetness. Drop by drop angel’s nectar!